Why are the benefits of Private Property portrayed as uncertain? Few concepts have been more important for human survival, yet maligned as unjust by intellectuals, as the concept of private property rights. Since at least the time of Aristotle, the superiority of private property over collective ownership in generating incentives to use scarce resources effectively has been recognized. It was a core idea of the Scottish Enlightenment thinkers such as David Hume and Adam Smith, as well as the American Revolutionaries such as Thomas Jefferson, James Madison, and George Washington. Historical experiences with the disaster of collective ownership and the benefits of private ownership can be found in the examples of the Jamestown and Plymouth colonies, the Soviet Union, and today’s less developed countries. Collective ownership, or poorly defined and weakly enforced private property rights, leads to perverse incentives with regard to the use of scarce resources and insecurity with regard to investment in the improvement of those resources. 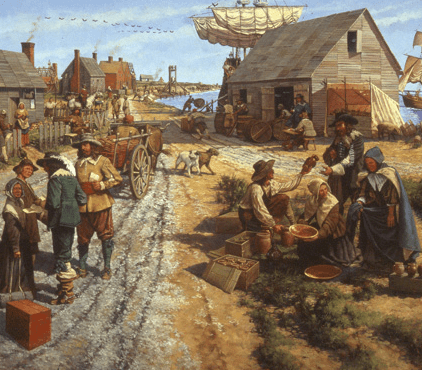 In the Plymouth colony, for example, the attempt was made to rely on Christian principles to induce hard work for the communal good, but the colony was on the verge of starvation when it switched to a private property system in 1623. Within a short period after this change, the lives of the inhabitants were richly improved. Similarly, in the former communist countries, where less than 1% of the agricultural land was held in private plots, these private plots outperformed the collective farms. In the less developed world of Latin America and Africa, insecurity of ownership and the constant threat of predation by public and private actors has destined millions of people to live in squalor and poverty. The importance of private property rights could not be clearer in terms of the historical evidence. Economics is the discipline that has devoted the most time and effort to explaining the functional significance of private property on an economic system. Unfortunately, for most of the 20th century economists lost their way in recognizing the critical importance of property rights because they treated it as the background to analysis rather than the subject of analysis. There were a few intellectual dissenters in the ranks of economists in this regard. Perhaps the most important of these were Ludwig von Mises and F. A. Hayek. In their critique of socialism, they emphasized not only the incentives that individuals face in the context of private property versus collective property arrangements, but the functional significance of clearly defined and enforced property rights for the economic calculation of alternative investment opportunities. Without a clear notion of “mine” and “thine,” the institutional basis for exchange is lost. Without exchange relationships, monetary prices will not be formed on the market. Without money prices upon which to compare and contrast prospective employments of scarce resources, profit and loss signals will not be able to guide adjustments to resource use. In short, as Mises established theoretically in the early 20th century, and the reality of Soviet life and the collapse of the Soviet system demonstrated in the late 20th century, without clearly defined and enforced private property advanced economic development is not possible. Secure private property rights, as indicated in the above quote by Thomas Jefferson, is the basis for limited and civilized government. The elimination of arbitrary confiscation and the establishment of regular taxation at announced rates enables merchants to calculate the present value of investment decisions and pass judgment on alternative allocations of capital. Recent research on economic freedom around the world has demonstrated these four points repeatedly. Adam Smith, writing in the notebooks that would eventually become his justly famous An Inquiry into the Nature and Causes of the Wealth of Nations, wrote: “Little else is requisite to carry a state to the highest degree of opulence from the lowest barbarism, but peace, easy taxes, and a tolerable administration of justice; all the rest being brought about by the natural course of things.” Smith’s friend and philosopher David Hume argued in his work that civil society could be defined as one in which the principles of “property, contract and consent” guide human interaction. In contemporary writings, Hernando de Soto has stressed the vital importance of recognized private property rights for unleashing the entrepreneurial talents of the poor throughout the less developed world. The concept of Private Property Rights must be shared with developing nations to ensure their success. The great philosophers of Western civilization, the great classical economists, and the best modern economists have drawn our attention to the importance of defined and enforced private property rights for achieving economic prosperity and social harmony. Public policy professionals all over the world are learning from history and recognizing this link. Unfortunately, there is much work to be done as hundreds of millions of people still live in countries where there is little regard for private property rights, and even less of an understanding of how these rights contribute to the economic and political well-being of a nation. In the United States, where we have always benefited from private property and free enterprise, our biggest threat to continued prosperity lies in the slow erosion of the respect for private property by government through taxation and regulation. Thus, one of the most important roles that economists can play as scholars and teachers is to articulate clearly the significance of private property for economic development and social cooperation. If we don’t, we will have failed in our scientific responsibility to convey the basic teachings of our discipline and the lessons learned from human history. Peter Boettke is associate professor of economics at George Mason University and a member of the Board of Scholars of the Virginia Institute for Public Policy, an education and research organization headquartered in Potomac Falls, Virginia. This article was republished with permission of the author. Subheadings and minor editing by TCS LAW FIRM.